Ceramic Blanket: Used for extreme temperatures up to 2150°F - Commonly used on Boilers, Breechings, Exhaust Ducts/Pipes, Ovens/Kilns, etc. Fire Blanket: Not high temperature per say, however these fire-rated insulation blankets are used as a fire-protection on grease ducts and kitchen exhaust ductwork. 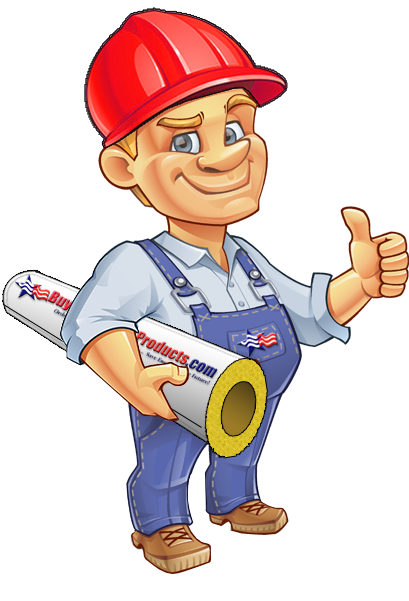 Mineral Wool Insulation: Used for temperatures up to 1200°F - Common used on Boilers, Industrial Piping, Ovens, etc.